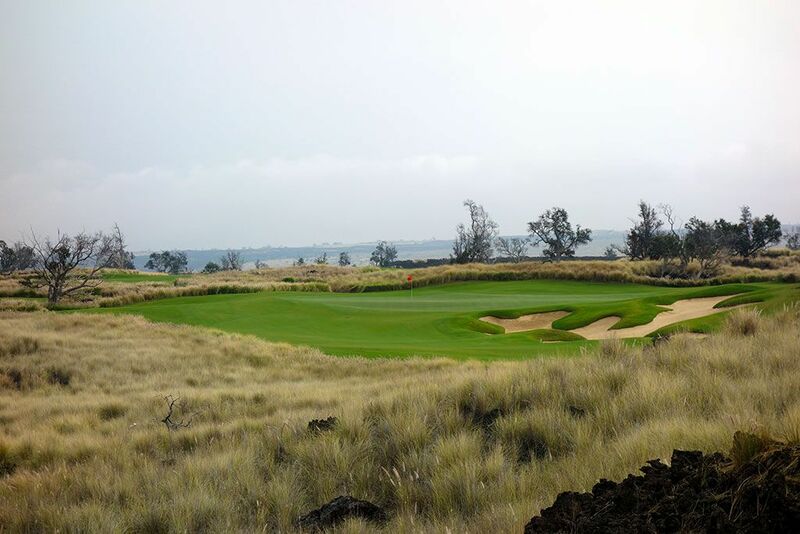 Accolades: Ranked 4th in Hawaii on Golf Course Gurus' Best in State list. 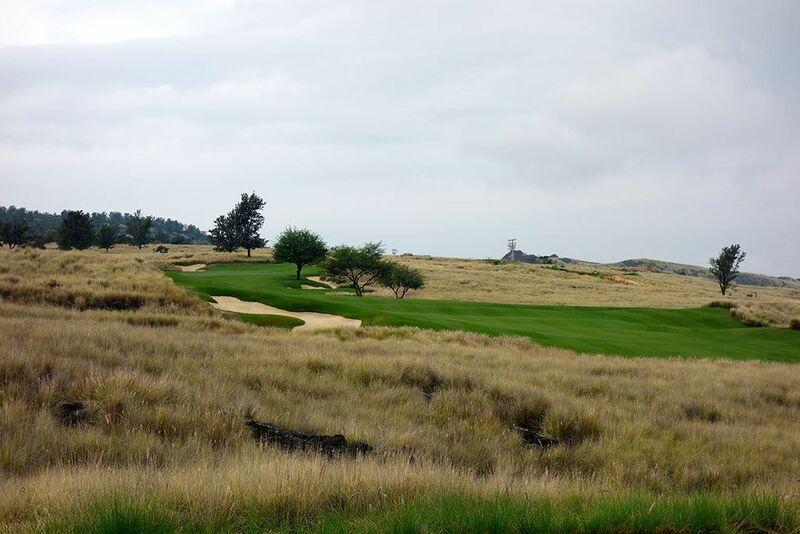 What to Expect: Located on the slopes of Mount Hualalai, Nanea is Hawaii's version of a Scottish links that came about when billionaires Charles Schwab and George Roberts partnered up to create the club by leasing 8,000 acres of property and hiring Scottish architect David McLay Kidd to design the links. The terrain features plenty of elevation changes, variety in the design, and the mountainside location lures putts down the hill towards the ocean no matter what you are reading in the green to the contrary. The course is completely covered in player friendly paspalum grass and was the first course in North America to do so. As a side note, Kidd's father Jimmy pioneered the use of paspalum in the Middle East. Bring plenty of balls on your visit to Nanea because any ball that leaves the fairway will likely be lost or at a minimum sliced up from the lava rock. That being said, the fairways and greens are plenty generous so players enjoy forgiveness throughout the round. Putts that head toward the peak of Mount Hualalai roll quite a bit slower than you would think and the putts going to the ocean race at an Augusta National like pace. 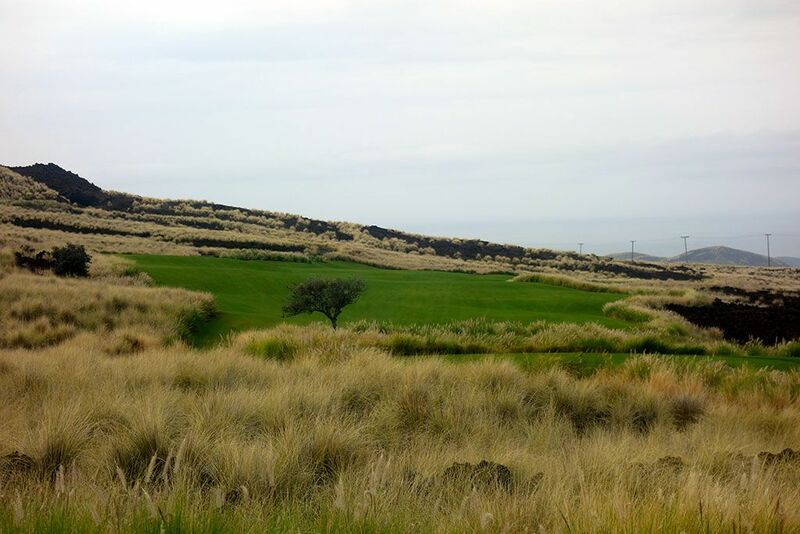 You wouldn't expect the tropical islands of Hawaii to enjoy a golf course with firm and fast conditions but the city of Kailua-Kona gets less than a foot of rain a year which allows Nanea to generate a firm links like experience despite the lack of natural links soil. 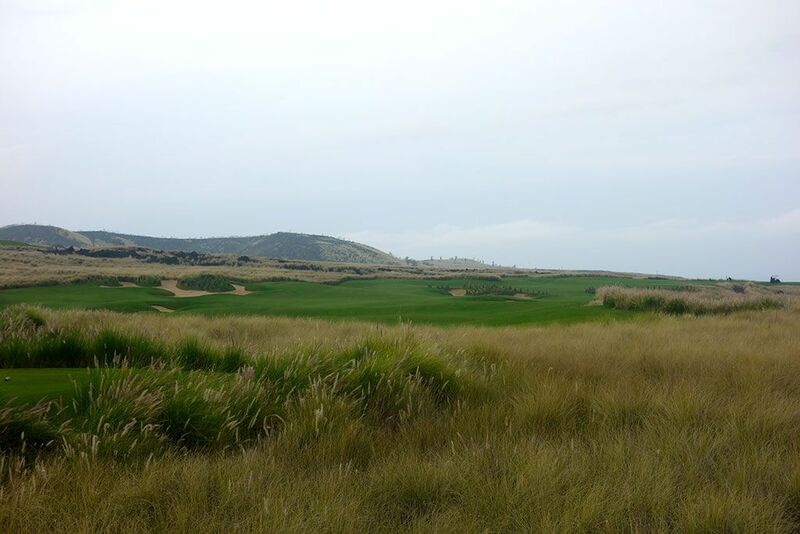 Though the club is ultra exclusive, the membership and staff couldn't be less stuffy and are very welcoming to all that are privileged enough to tee it up at Nanea. The clubhouse enjoys stunning views from the panoramic windows which put the golf course and ocean on full display while the locker rooms feature outdoor showers enclosed by a lava rock wall. The turn into Nanea doesn't feature any signage and don't trust your GPS to get you there; just turn on the unlabeled road across the highway from Kukio's entrance before entering the gate and driving two miles to paradise. Signature Hole: 17th Hole – 236 Yard Par 3 – While Nanea doesn't play on the ocean, one of the most spectacular views on the Big Island is from this tee that plays downhill to a well protected green with the Pacific in the distance. This tee box represents the highest point on the property and offers panoramic vistas of the golf course and surrounding area. This lengthy one-shotter offers a bail out area short and right of the putting surface which offers a good angle to the green for getting up and down. It's a heroic tee shot over fescue with the sucker pins being located on the left third of the green. Best Par 3: 11th Hole – 205 Yards – Fescue covered lava rock stands between you and the green on this one-shotter that features a false front across the left half of the putting surface and a deep, expansive bunker across the right half. The best miss is long and left where a chipping area provides an inviting angle from which to get up and down from. The undulated putting surface creates some interesting rolls from certain locations and you'll always want to take into account where the mountain is before hitting your putt. Best Par 4: 16th Hole – 386 Yards – My favorite hole at Nanea is this uphill par four that looks like it could be a painting. 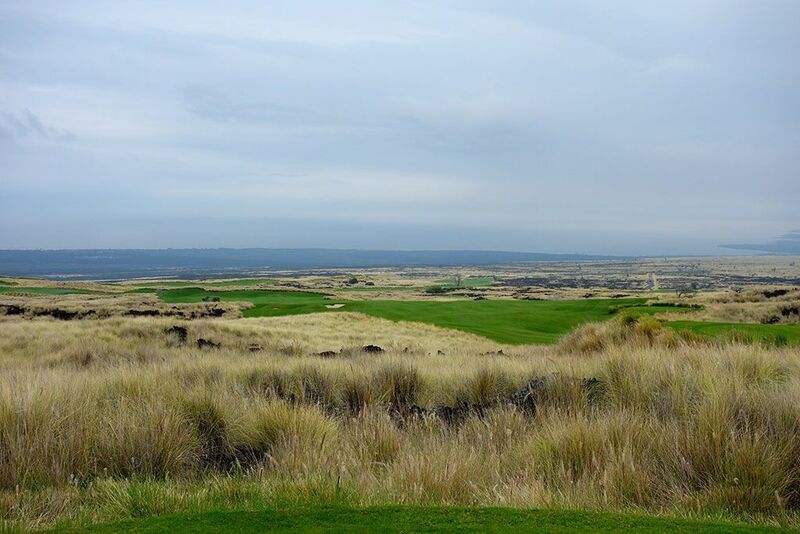 The green fairway is contrasted by white bunkers, golden fescue, a half dozen bushy trees, and the occasional black lava rock outcropping outside the playing area. The fairway sits at an angle to the tee box and climbs up to the player's left to a greensite fronted by a tree on the right and protected by a bunker on the left. The most diabolical putt on the golf course is found on this green when rolling the ball downhill where the effect of mountain is in full power and you need to only breathe on the ball to get it to the hole. 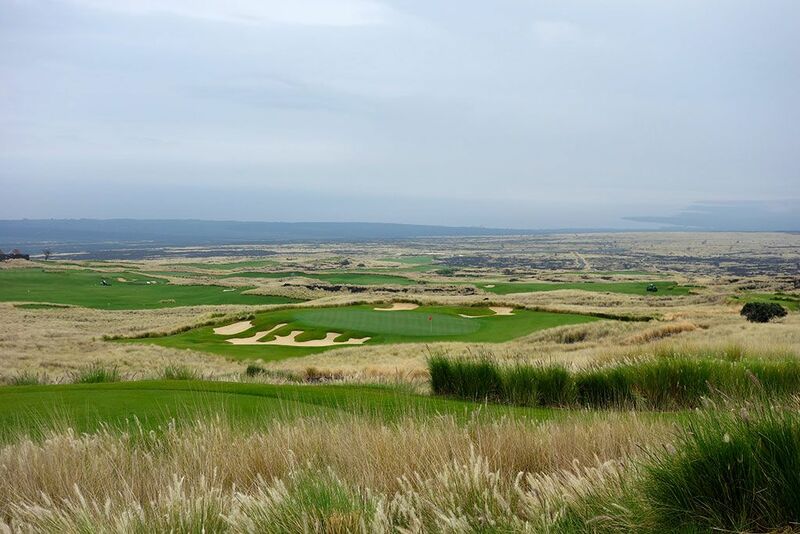 With intriguing angles, gentle elevations, and memorable features, the 16th at Nanea is treat. Best Par 5: 18th Hole – 629 Yards – The 18th looks long on the card but plays straight down the mountain and will generate plenty of extra roll and distance. The fairways bends to the left which will encourage plays to challenge that side of the hole in order to shorten the distance even more, but a pair of bunkers in the landing zone lie in wait to prevent your opportunity of reaching this green in two. The green is protected by a single bunker on the right while the entire front and left sides of the green are wide open and receptive to aerial or ground approaches. This is a fun hole is finish on and will surely leave a smile on your face as you walk off the final green at Nanea. Birdie Time: 5th Hole – 334 Yard Par 4 – A driveable par four and an absolute pleasure to play. The 5th hole begs for players to take aim down the left side of the fairway where there is the most forgiveness and greatest opportunity for a ball to be kicked on to the front-to-back sloping green. There is little to fear is taking a rip at the green although pin placement can be the difference between birdie and par. My drive ended up on the back side of the green while the pin was up front. There were enough undulations and pace to judge that I was only managed to lag it to about eight feet and failed to convert the birdie, but this without a doubt your best chance to go under par. 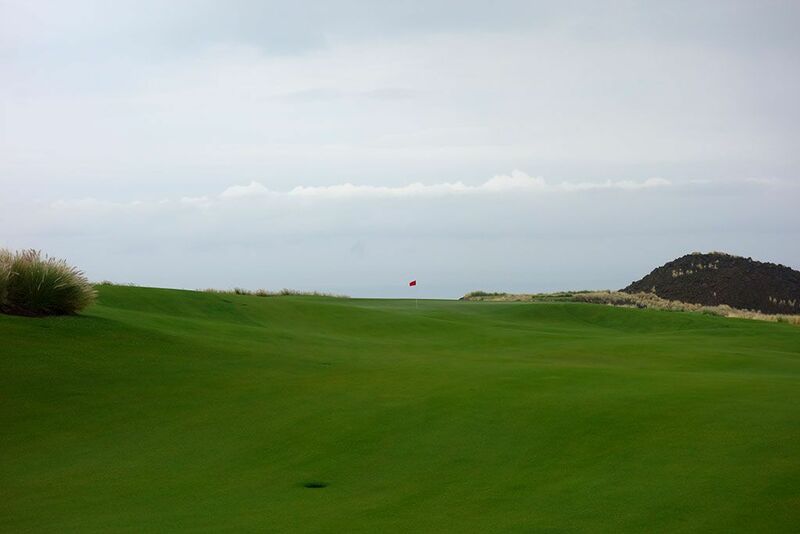 Bogey Beware: 7th Hole – 441 Yard Par 4 – The 7th represents the most difficult tee shot of the day at Nanea. A large bunker lined with bushes engulfes the center of the fairway with more room being offered to the left than the right. The challenge with just firing away left of the bunker is that the fairway slopes back towards the trouble and can mess with your mind and your ball. Staying short of the bunker reduces the risk of trouble but compounds the challenge of reaching the green in regulation. It is common to find the toughest holes on a course midway through the front nine or back nine, and that is exactly what Kidd did here.